Yesterday Denmark was met with the sad news of Jørgen Ingmann having passed away. He was Scandinavia’s first Eurovision winner when him and his wife took Europe by storm in 1963, and through reactions from colleagues and friends you get the story about his unique talent as one of the world’s best guitar players, but also how stage fright put an end to it. Jørgen Ingmann passed away Saturday at the age of 89, and the news was one of the top stories in Danish media yesterday. 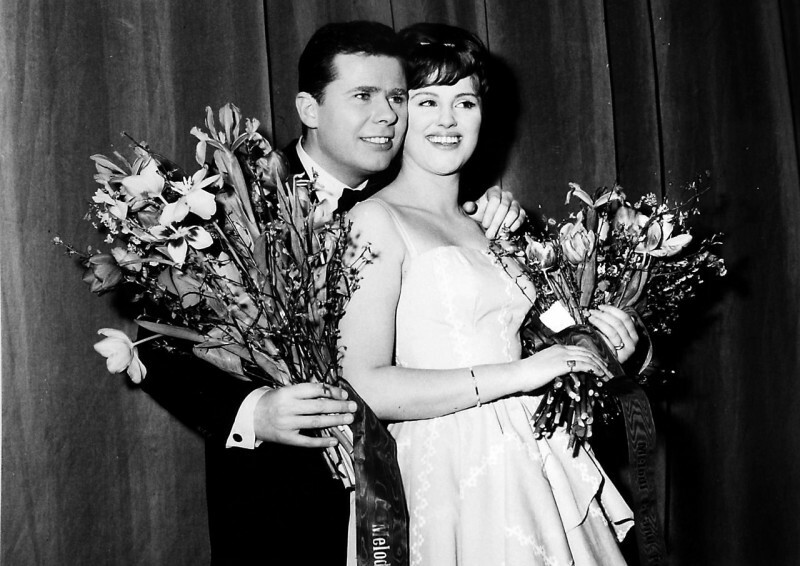 Jørgen was much more than just one half of Denmark’s first Eurovision winner from 1963, he was also Scandinavia’s first winner, but most of all, he was one of the world’s best guitar players. Today and yesterday familiy and friends have told the story about a man who loved his wife through 20 years despite the divorce in 1975. Colleagues from the music industry tell about the man who was such a genuis on a guitar that it will take a long time before such a talent is seen again, if ever, and some have small anecdotes to attach to their life with Jørgen Ingmann. All together it tells the cathing story about Jørgen Ingmann. "I am so sad to hear this. I got to know Jørgen in a sweet and lovely way. We met him and Grethe back in the ’60’s when we were performing. I contacted Jørgen in 2001 when I still worked for DR as I thought it would be obvious to talk to Denmark’s first Eurovision winner." "When the charts were still new, Hilda and I were one week number one. The next week, Grethe & Jørgen had knocked us off. I wrote a letter to them where I told them that it was too bad not to be first anymore, but if anyone deserved it, it was them. 30 years later Jørgen told me that he never forgot that letter, and that was why he agreed to that interview." Keld Heick also adds that Jørgen was unique on a guitar, but that he had stage fright and was so perfectionistic that it might have been a problem career wise. "What he did was so beautiful, but unfortunately he was very sensitive and nervous, and therefore also difficult to work with. I had to lie to him several times saying that it was just a rehearsal, and that we were testing things, not recording. That calmed him down. I used that trick on both TV and radio, but of course I always asked for permission afterwards to use it, which was never a problem". 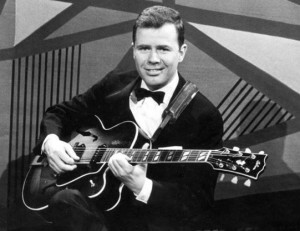 Jørgen de Mylius adds that it was Jørgen Ingmann’s own special version of the twangy guitar sound which Duane Eddy and Hank Marvin stood for, which made him unique and one that young guitar players were inspired by. "Jørgen Ingmann was one of a kind. He created a totally unique sound as a guitar player. Besides that, he was a skilled producer and in every way perfectionist and througly professionel. He was a very innovative and brave person within what he could and wanted to do". "It was jazz player Svend Asmussen, which discovered him. Jørgen was a part of his orchestra, but with me he became a musician in his own name and also together with Grethe. He also worked as a producer on a series of songs. It was Jørgen who produced my big Alley Cat hit, and he produced his own big hits like Apache, which became a big hit in the United States." "He liked to play and work with music, but not performing. That was due to him being perfectionist. He was so scared not to do things good enough and feared that something would go wrong during a performance. He pulled out, I think, as the long career had been hard for him. He could, as far I know, afford to stop. He earned money on the many successes and he had orden in his things. He was sweet and modest." When Jørgen Ingmann stopped his career in 1984, it was his close friend and musican Laif Møller Lauridsen who got his guitars. He tells the more private story of Jørgen’s life. "He was probably in love with Grethe up until her death. He never said a bad word about her". "The divorce from Grethe was hard for Jørgen, and when you are heartbroken it is easy to take a little drink to try to forget it. It is no secret that Jørgen did that too. At some time the situation between them was so tense that Jørgen didn’t even see his children. After some years, I think it was in 1984, Grethe asked me how Jørgen actually was. I told her that he missed the children. She asked me to invite him for christmas where she would then make it sure it was only the two of them and the children. That arrangement was a big success and they were reunited again, without getting back together as a couple though." "He was incridibale perfectionistic, both musically and privately. In the apartment not a book was placed wrongly, and even if was so skilled, he practiced constantly. But it became too much. He was afraid not to live up to the reputation he had created. His musical expectations were enormous and at the end he was too afraid to go on stage." "He took the descion during a longer period where he was hospitalized in 1984. His anxiety to go on stage had become too big. He became an apprehensively person by being in the media all the time. He really didn’t like that part… he was a very sensitive and emotional person. He was a very carring person who always was present and not one you ever needed to shout at." EuroVisionary would like to send over condolences to Jørgen Ingmann’s family and friends. Rest In Peace, Jørgen Ingmann. 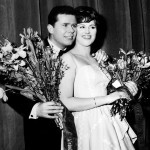 Below you can watch Grethe & Jørgen Ingmann’s 1963 Eurovision winner, Dansevise.